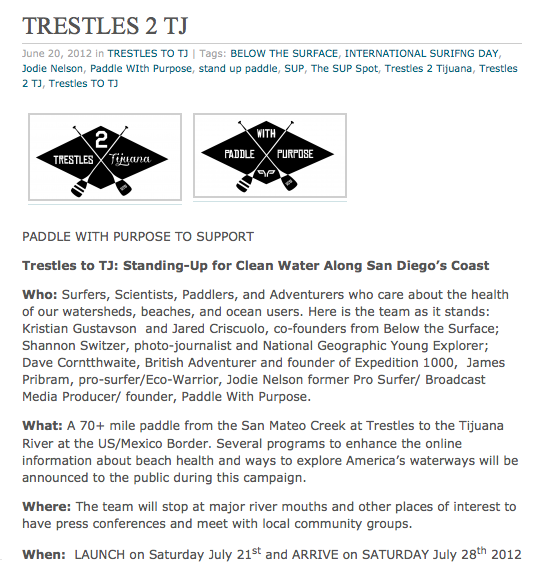 This is Jodie Nelson's organization, you may remember her from her solo paddle from Catalina to Dana Point where she was partially guided by a whale. Check out her site here. I'll be checking my calender to see if I can link up with the paddlers- you should check yours as well! Get more info about this event here.